Google today updated Google+ for Android with a slew of new features focused just on photos. You can download the new version now from Google Play. 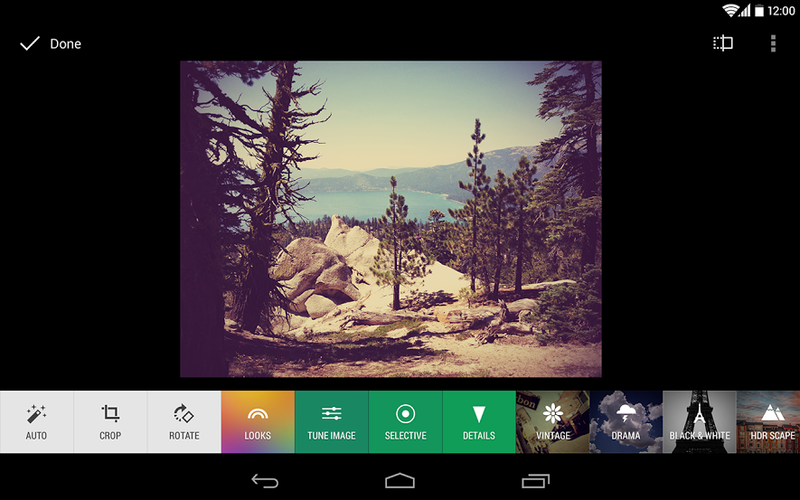 First and foremost, the app now features non-destructive photo editing across devices. In other words, you can now start editing a photo on one device and continue on another. Here’s a scenario where this is useful: you can now back up full-resolution photos from your desktop, make some basic edits on your phone, and then add some finishing touches on your tablet. This is possible because Google is saving all your edits in the cloud. You can, of course, revert to the original version at any time. Last but not least, Google has added a single view for all your photos. It shows your entire photo library, regardless of whether your pictures are on your current device or backed up in the cloud. You can now also browse your photos by date: just swipe through your photos in the new All view and look for the scroll bar on the right (drag up or down to move forwards or backwards in time). For very large photo libraries (tens of thousands of photos), the app won’t show all your photos initially. Google, however, does say it plans to support larger and larger libraries “over the next few weeks.” We’ll let you know when we find out more about the new upper limit.